Here are more of the 6 inch stockings that I crocheted this month. As you can see, any color combo can be used and just about any pattern can be used as long as the stockings are around 6 inches long. We are looking for more people to help us meet our 2016 stocking goal. 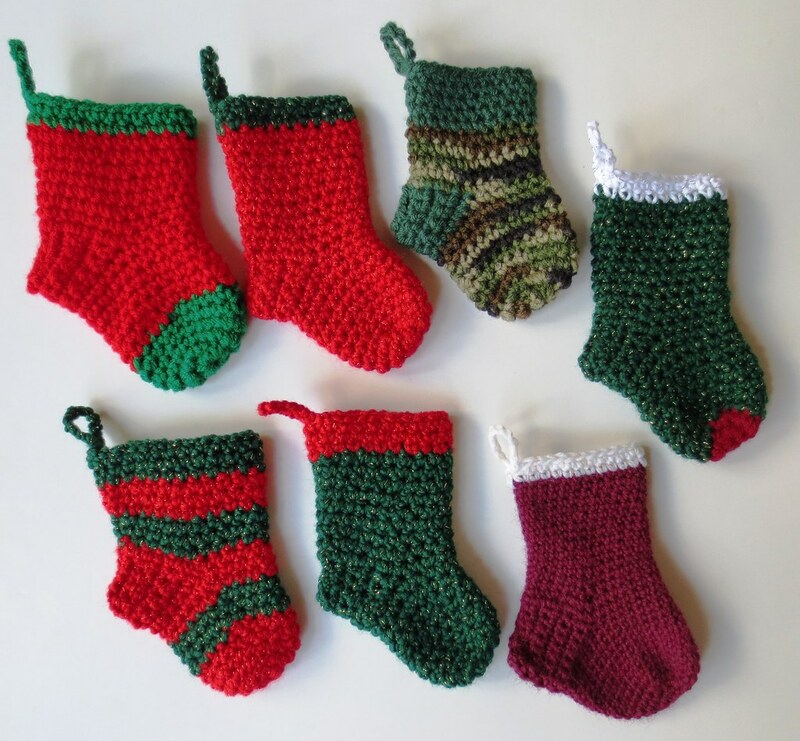 Last year there were over 1600 Christmas stockings sewn, knitted and crocheted for the troops. Please come and join us at the Warmth for Warriors group on Ravelry if you can help us this year.